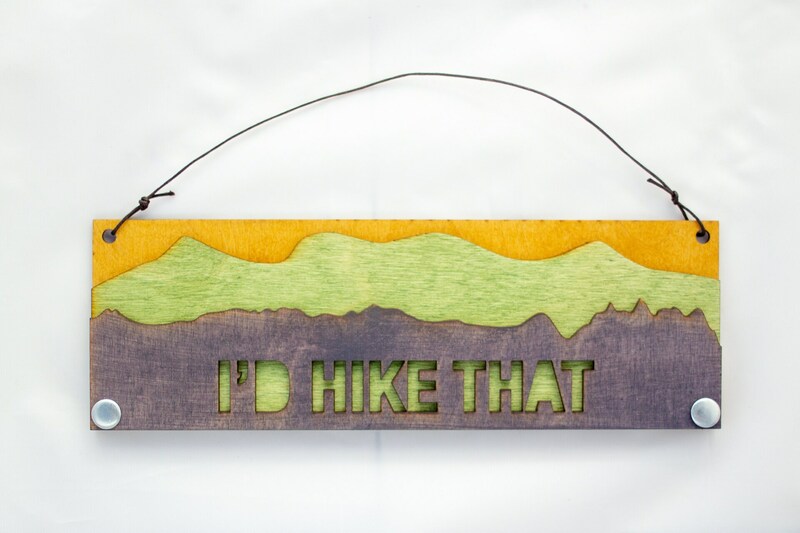 This sign is perfect for your entryway to remind you that you have another mountain to climb! 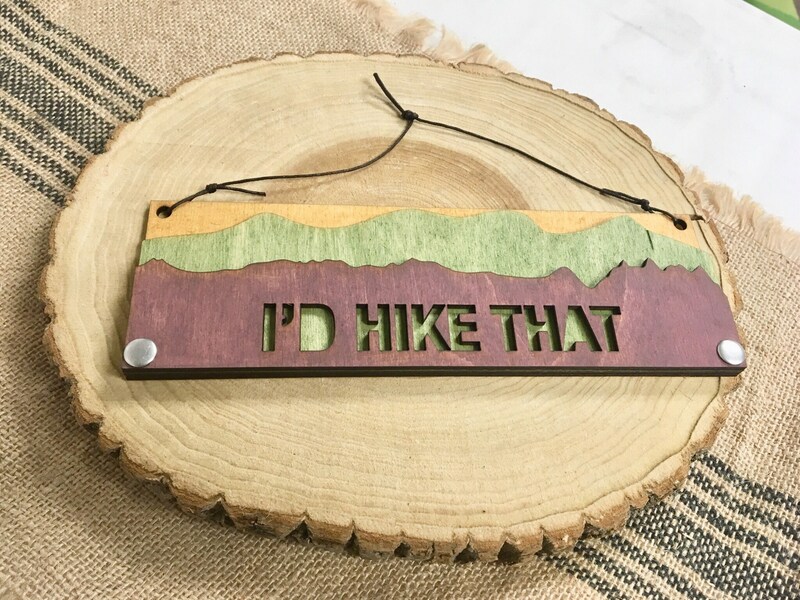 A great house warming gift for adventurous friends, or place this in you office cube to remind you what keeps you going. 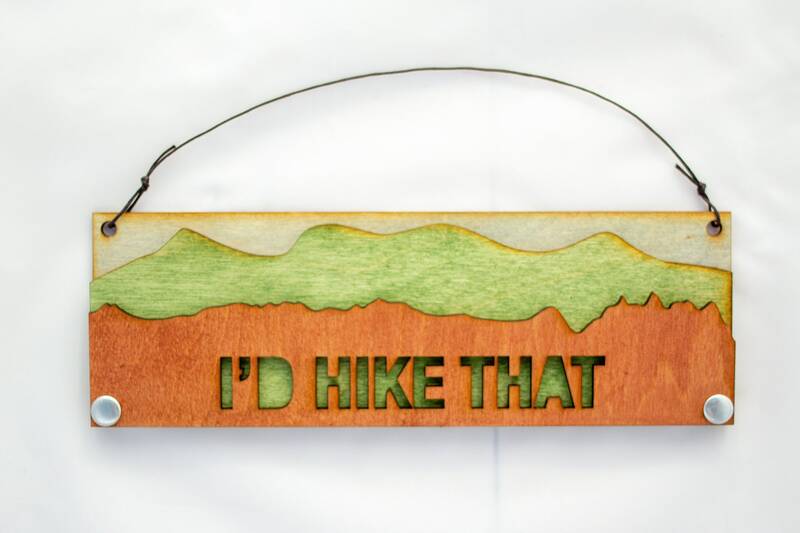 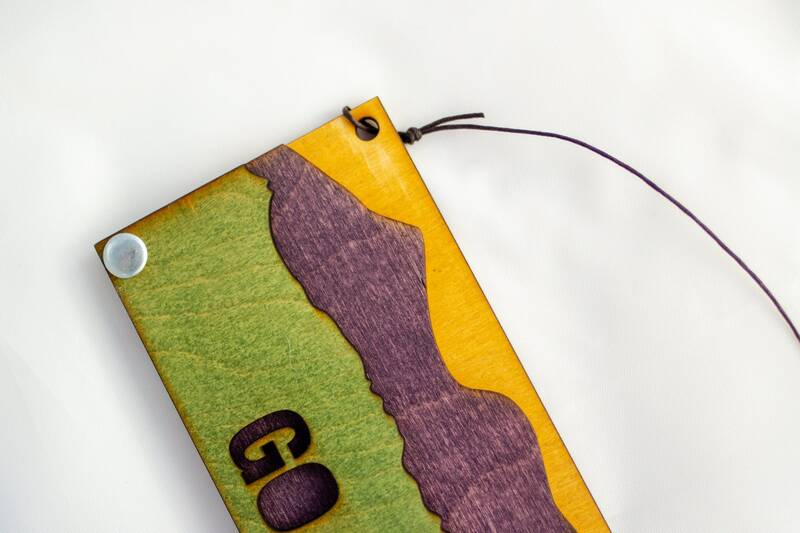 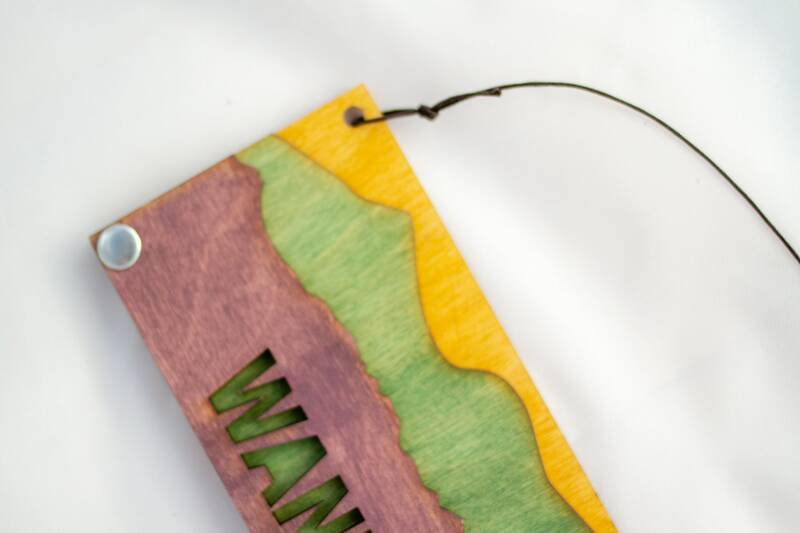 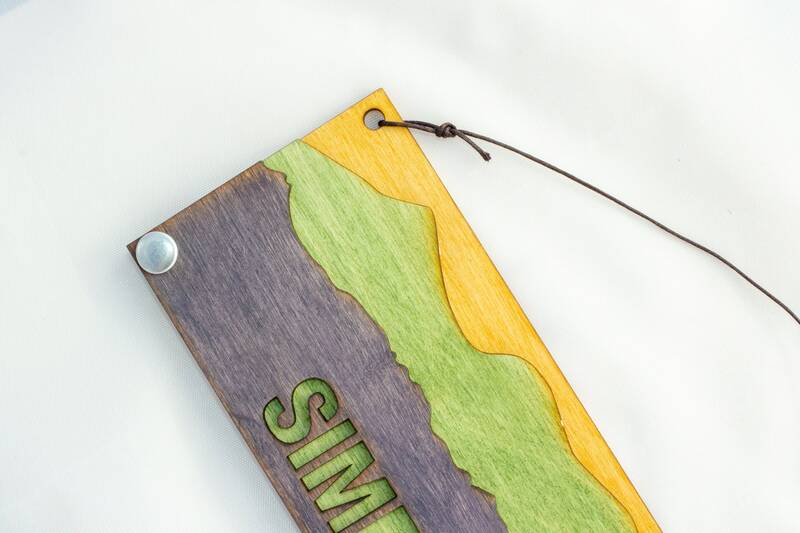 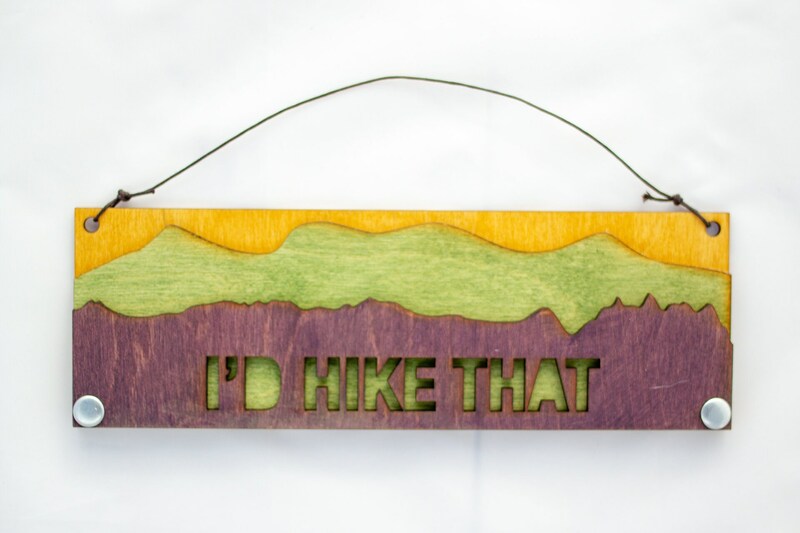 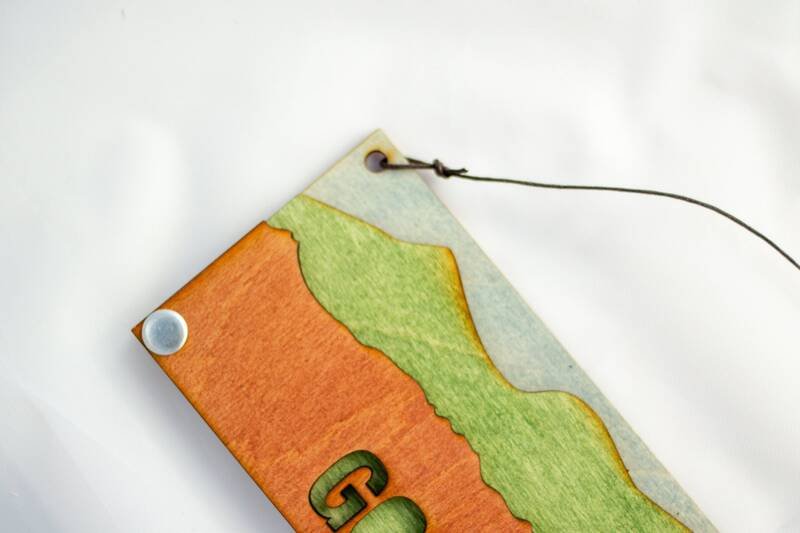 This is three layers of wood, riveted together to make an adorable rustic hanging plaque, with the text "I'd Hike That."